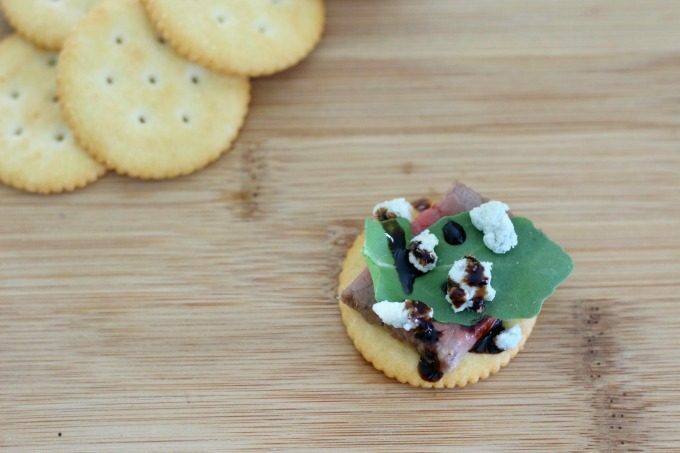 Looking for the perfect appetizer for your next get-together? 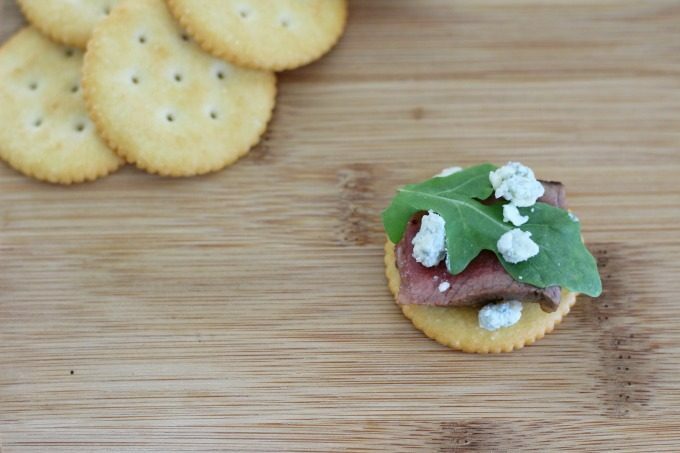 Better make plenty of these Party Crackers with Steak, Arugula & Blue Cheese because they’re going to disappear fast! I love having friends over but it can be hard when I want to invite them over spur of the moment. With two kids, the house is usually covered in toys, crafts and who knows what else. My friends probably don’t care but I want the house to be somewhat presentable before anyone comes over. I also have to be sure I have something fun to serve and by the time I’m done cleaning, there’s not a lot of time left for making fancy appetizers. Luckily, I think I’ve gotten both of these problems solved. I’ve learned how to at least create the illusion of a clean house and now I have the perfect appetizer to serve. 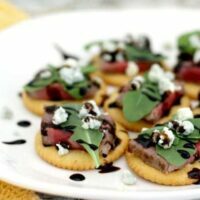 These Party Crackers with Steak, Arugula & Blue Cheese are both delicious and easy, my favorite combination! 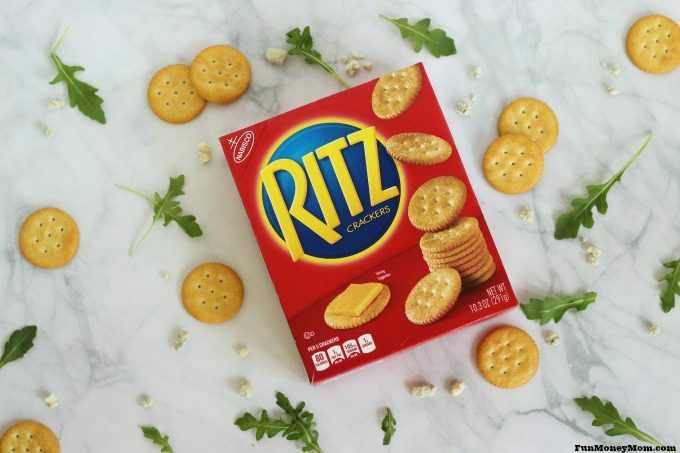 My go-to crackers are always RITZ Crackers. When we go to the beach, I throw a sleeve or two of fresh stacks in the cooler and when I need a quick snack, I love RITZ crackers and cheese. The great thing is that they’re also a perfect party food. You can pretty much top them with anything and it’s going to be a hit. 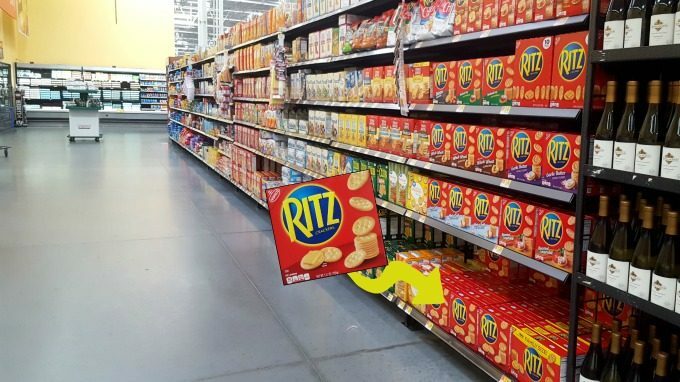 I’m always at Walmart so when I’m running low, I grab some extra RITZ Crackers to keep in my pantry. If you visit Walmart the week of April 15th, you can even check out an in-store demo in partnership with Peter Pan® Peanut Butter. 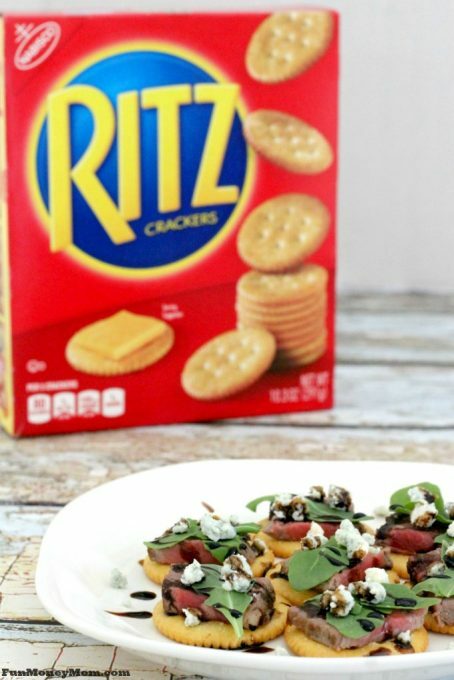 Sample RITZ Crackers, get free recipe handouts with coupons and spin to get a free box of RITZ or even a Walmart gift card. Now, are you ready to see how I made these mouthwatering party crackers? 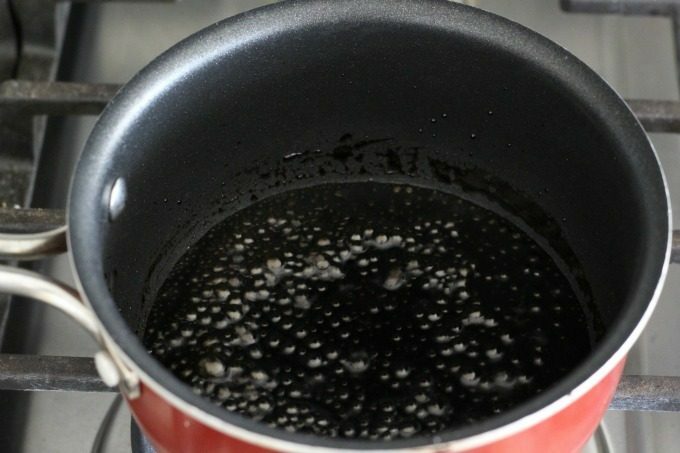 Start by making reduced balsamic vinegar. It’s easy and adds so much flavor to any dish. Just bring to a boil in a saucepan, then simmer until it reaches a syrupy consistency. I used 1 1/2 cups of balsamic and it took about 10-12 minutes. Just be sure to stir it occasionally so that it doesn’t burn. I put the vinegar in the refrigerator to cool while I started on the steak (I used boneless NY strip but any kind will work). 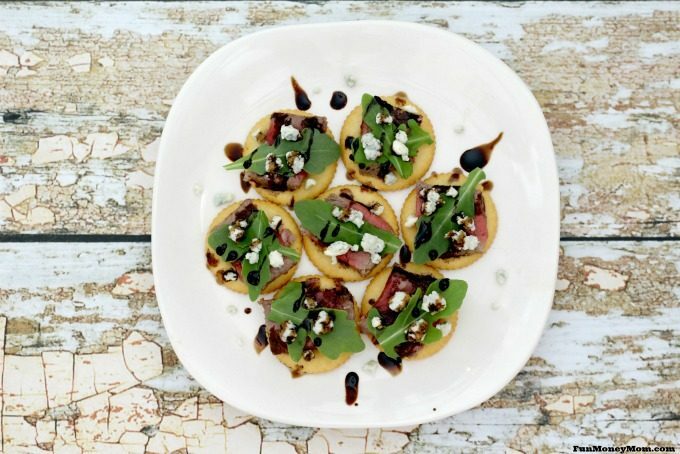 Since the balsamic adds so much flavor, the steak doesn’t need much seasoning. I just added a little garlic salt and pepper. We like ours on the rare side but of course you can cook yours to the temperature you prefer. 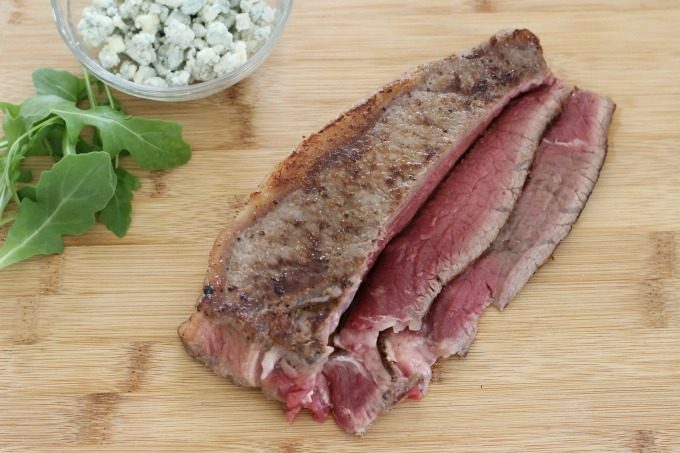 When you’re ready, trim the fat and slice the steak into thin strips. 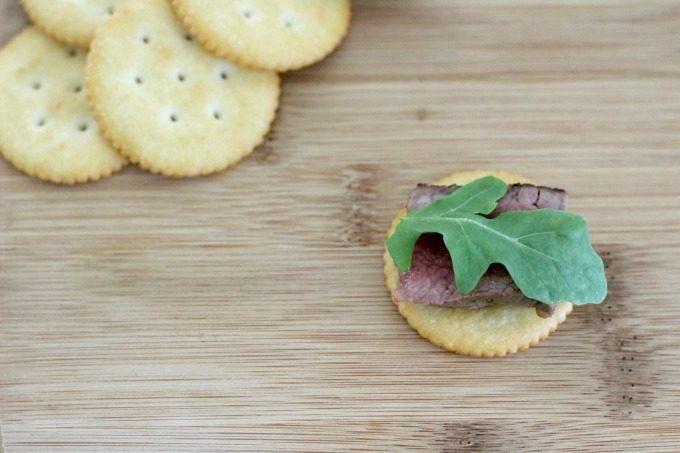 Now you’re ready to create the perfect party cracker. 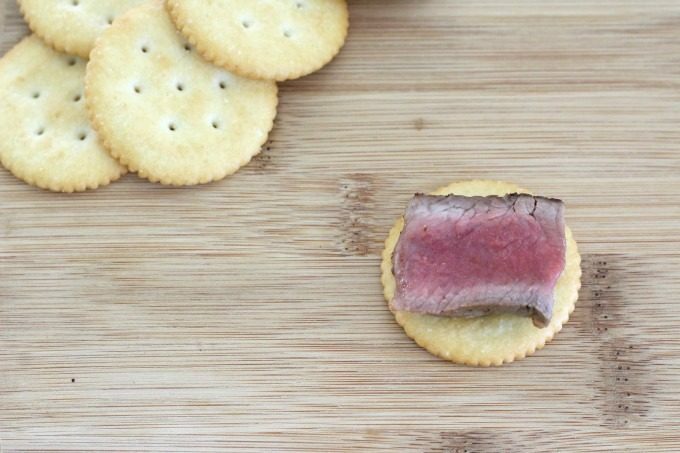 Cut the steak strips into one inch pieces and place each piece on a RITZ Cracker. Add one or two arugula leaves. Sprinkle on some blue cheese. Finally, drizzle reduced balsamic vinegar over the top. These were so good that you could just give me a plate of them with a glass of wine and it would be the perfect dinner! It even has all the food groups…meat, dairy, veggie and starch. That’s a great meal, right? They’re even more perfect for party snacks. 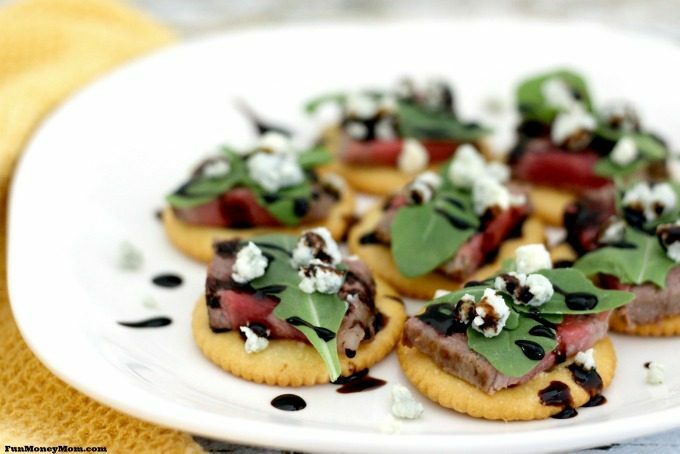 These flavors are so good together, from the buttery cracker to the balsamic vinegar. I think I’ve found my new favorite appetizer! Spin the wheel to find even more awesome RITZpiration recipe inspiration.